With a feisty mom as a role model, Camila Mennitte Pereyra grew up determined to show the world that she could do anything that a man could do … and maybe do it even better. Her choice of musical instruments — drums — reflects her “I-can-do-it-too” attitude, says Cami, noting that she also was drawn to the drums because of its groove and versatility. That the drummer often is a leader in a band is another bonus, she says. As the drummer — and only female — in UW-Eau Claire’s Jazz I ensemble, Cami already is proving that she’s more than up to any challenge. 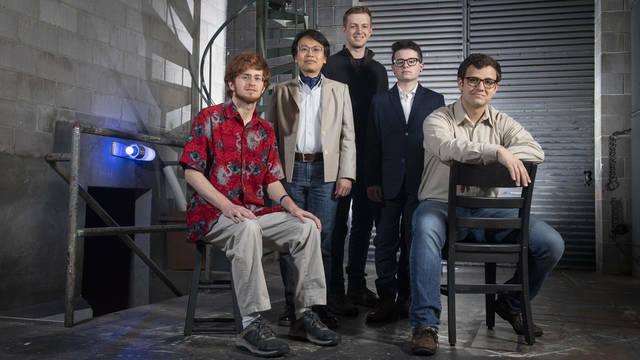 This spring, UW-Eau Claire’s top jazz ensemble won its eighth DownBeat award, the second consecutive year the ensemble was honored by the premier jazz magazine. Cami was the drummer both years. When Cami graduates, she’ll take with her two prestigious DownBeat awards, a host of connections in the music industry and enough confidence to know she has the talent to make a career in music. Cami came to UW-Eau Claire to study music thanks to a mentor in Argentina who saw her potential and used his music industry connections to get her to a jazz camp in Shell Lake. “He was trying to convince me to come to the States to study,” Cami says. “I didn’t know it at the time, but the Shell Lake jazz camp was a test to see how I would do. The next year, he said I should go to UW-Eau Claire and that they had scholarships for me. 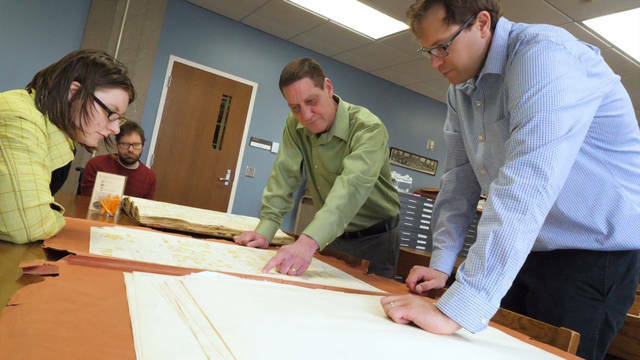 She also credits Steve Zenz, a UW-Eau Claire music graduate, and Ron Keezer, a UW-Eau Claire associate professor emeritus of music, with helping her study at UW-Eau Claire. Cami first began playing the drums nearly a decade ago, when she was 14. The more she played, the more she came to appreciate all that the instrument offers. In Argentina, music is not part of public school curriculum so she took private music lessons once she became interested in learning an instrument. She was fortunate, Cami says, to take lessons from an excellent teacher, who also became her mentor. In addition to teaching her an instrument, he also encouraged her to think big, she says. Studying music at UW-Eau Claire is an important step on her journey, which she hopes will lead her to a career as a professional musician. “It was a culture shock,” Cami says of moving from her home in Argentina to Wisconsin, noting that she struggled with everything from the language to the weather. “It took a little while to adjust, but after that transitional period, it’s been awesome. She credits Robert Baca, UW-Eau Claire’s director of jazz studies, for helping her get the most out of her opportunity to study at UW-Eau Claire once she got onto the campus. 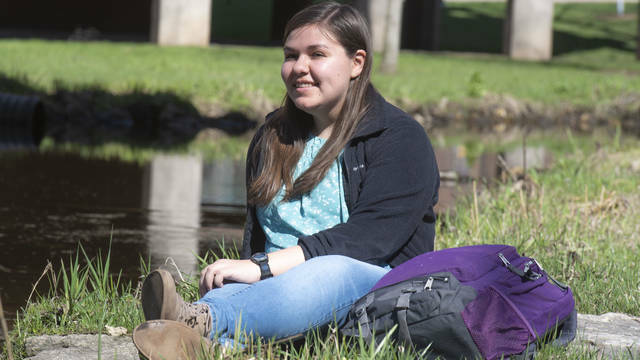 A tremendous teacher, he helped her improve as a musician, but also has pushed her to pursue opportunities that will help her to learn and grow away from the campus, Cami says. Cami will take her next steps toward those places in the fall, when she begins her graduate studies at Indiana University. She had opportunities to study at other prestigious universities but picked Indiana University after it offered her a full-ride scholarship. Equally important to her, however, is that a member of her Blugold family already is part of that campus community. John Raymond, a UW-Eau Claire graduate who continues to have close ties to his alma mater, now is an assistant professor of music at Indiana University. “Blugolds are family, and that’s especially true in the music department,” Cami says. “Anywhere I go and meet alumni, I know I have support. I’ve gotten to know a lot of Eau Claire grads, and I play some with them. They’re amazing and always looking out for me. Given her experiences at UW-Eau Claire, she knows that having the support of another Blugold will make a difference as she continues her studies and looks to her future. After all, when she first came to UW-Eau Claire, Ron Keezer introduced her to a number of Blugolds, many of whom have supported her in various ways during her four-plus years in Eau Claire. “I kind of have my Eau Claire network,” Cami says, noting that they’ve provided everything from emotional to financial support. “Ron Keezer is connected to everyone. When I first came here, he introduced me to so many people, and they became like family to me. Cami says the support from so many people, as well as the UW-Eau Claire Foundation, is especially meaningful because she’s a woman of color. “People with power are taking the time to empower a woman of color,” Cami says. “Why did they choose to support a woman drummer from Argentina? They could have turned their backs on me and gotten some guy drummer from Iowa. But they chose to help me. After graduate school, Cami hopes to be a professional musician, pursuing projects that interest and challenge her. “I’m constantly thinking about big pictures,” Cami says. “I’m always thinking about how I can make something better. How can I be better? We won a Downbeat award, now how do we win a Grammy? For now, she is most excited that her family is coming from Argentina for her May 19 graduation. While she visits them once a year, this will be the first time they will be in Eau Claire, her home for more than four years. “My parents are extremely proud,” Cami says. “But I don’t think they understand everything that’s going on here. Once they come, it will be eye-opening. I think they will understand better what I play and do. They understand that I’m in the top jazz band and won awards. They celebrate everything I do. But it will be different for them to be here and see it. 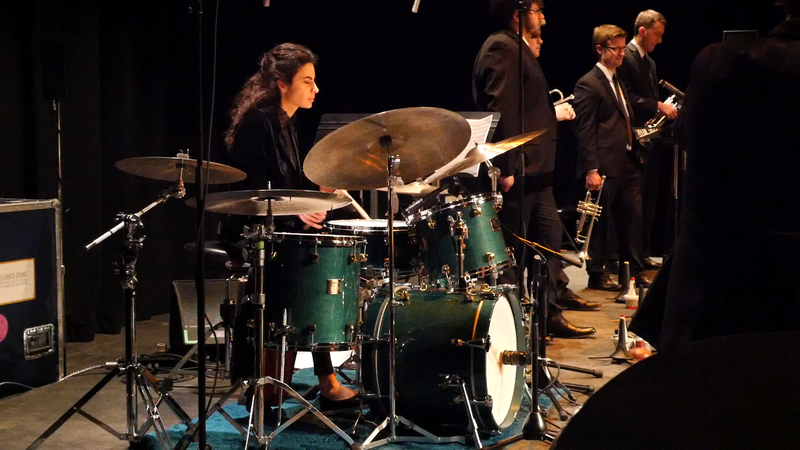 Photo caption: As the drummer and only female in UW-Eau Claire’s Jazz I ensemble, Camila Mennitte Pereyra is looking forward to a career as professional musician. Judy is the IMC's chief storyteller, sharing stories about the many exceptional people that make UW-Eau Claire such a phenomenal place. She talks with students, faculty, staff and alumni to find and to share their successes, initiatives, challenges and dreams with the campus community and the world beyond. ### Jesse is a videographer for the IMC, capturing many stories on camera that tell the incredible successes and achievements of students, faculty and staff at UW-Eau Claire. She produces video content for various social media platforms to help Blugolds and the greater community connect and engage online in one space.